In a study that included some 25,000 Americans, a team of researchers from the University of Santiago de Compostela along with Universities of Tennessee, Arkansas (USA) and the Norwegian Institute for Agricultural Finance Research, have linked obesity prevention with those who read nutritional labels on food products — especially in women. 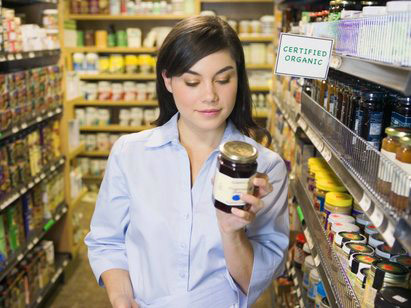 According to results taken from the National Health Interview Survey (NHIS) performed by the U.S. Centers for Disease Control and Prevention — 74% percent of women reported reading food labels as a part of their grocery shopping regiment — compared with 58% of men who say they read nutritional labels. The team, lead by María Loureiro, found Women who scrutinize food labels had lower body mass indexes and on average were almost 9 pounds lighter when compared with women who don’t regularly read food labels, according to a ScienceDaily report. “First we analysed which was the profile of those who read the nutritional label when purchasing foods, and then we moved on to the relationship with their weight,” says María Loureiro, lead author of the study published in the journal Agricultural Economics. “We know that this information can be used as a mechanism to prevent obesity. We have seen that those who read food labels are those who live in urban areas, those with high school and high education. As we would hope therefore, campaigns and public policy can be designed to promote the use of nutritional labeling on menus at restaurants and other public establishments for the benefit of those who usually eat out,” Loureiro concluded. Although reading food labels can be an added health benefit, nutritional labels are often misleading. Read “16 Most Misleading Food Labels” to learn more about the confusing phrases manufacturers use on food.